If you have problem viewing this content, please visit here to read below correspondence. Spill containment pallet and Safety cans. Wuxi Huanawell Metal Manaufacturer Co. Ltd is such an entity, establishing and figuring out resources and catalysts to help customers work better, live better with peace of mind. We are striving creating values needed by the clients in both industrial & civil sectors, which help them be more productive, including with the latest technology, core office supplies, facilities products, furniture, and all possible security solutions. The company also provides a variety of services including sourcing & outsourcing in relevant industrial and civil areas. Application:Wildly used in the feilds of oil, chemibal industry,research lab, pharmacy and other dangerous hazard material storage. Standard:OSHA 29 CFR1910.106 and NFPA Code 30,. Product range:For a variety of corrosive chemicals storage, such as sulfuric acid, nitric acid, acetic acid, sulfuric acid, etc. Application:Mainly used for chemical, pharmaceutical and others. 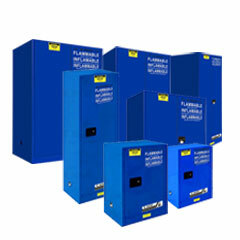 Product range:Flammable/Corrosive Storage Cabinets for both flammable and nonflammable corrosives. Application:：Mainly used for chemical reseach and other industry. Standard:OSHA 29 CFR1910.106 and NFPA Code 30. Product range:Suitable for storage, filling water pollutants, flammable and non-flammable liquid . Standard:Apply forStawa-R standard, it was approved to use for GHSlevel 1-3flammable and level 1-4 dangerous liquid. Product rangeFor storing magnetic media, paper and other important documents, which can effectively resist the invasion from the external magnetic field, humidity and dust can be truly effective in preventing magnetic materials fade, mildew, rust and qualitative change. Standard:Fire resistant rating confrom to Japan JIS（S 1037-1989）industry standard. All product above conform to OSHA、NFPA、UL、FM、JIS standard and can be customized. Any inquiry is welcomed.